They are known to be incredibly slow and to live upside down on trees, hanging upside down only by their massive claws. There are two families: two-toed sloths (that have two digits) and three-toed sloths (that have three digits). All of them have three toes. They have a very low metabolism and also very low-temperature rates. So they move only when necessary and very slowly, at a speed of 4 meters per minute. This makes them hilarious. They live on the trees because they are helpless on the ground, so they spend most of their time sleeping in the middle of a tall tree, climbing down to the ground only to defecate, every 8 days. Where can you find sloths? In South and Central America. You will likely see them in Costa Rica, Panama, Brazil, Peru and all the Amazon region. They will always be in some tropical rainforest. I have seen them in Costa Rica and in the Peruvian Amazon. In Costa Rica, we refused to go with a tour guide that had a telescope to find them. This is because we wanted to live the real experience of spotting them ourselves. It was arduous! We managed to see this one above walking on the beach in Cahuita, with zero expectations. 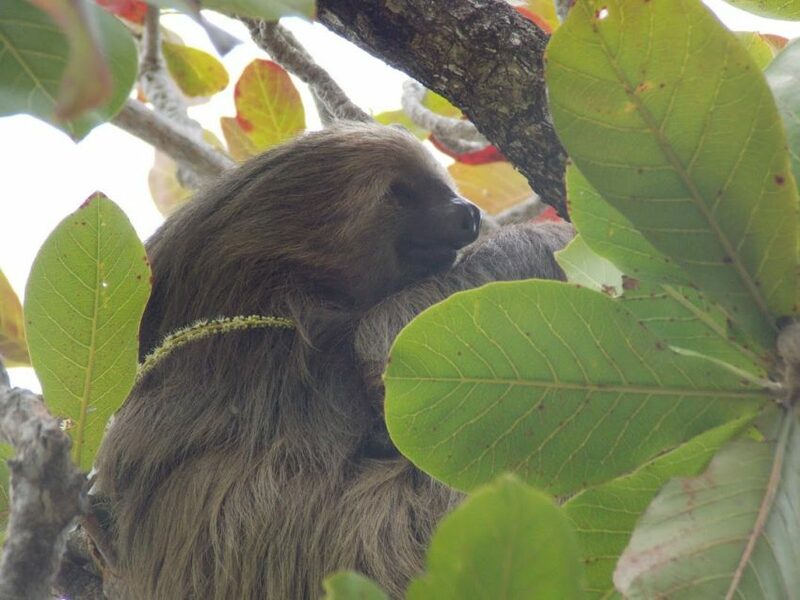 It was a mum with a small baby sloth hanging as well. The second time we saw a sloth it was the more intimate moment you see here. 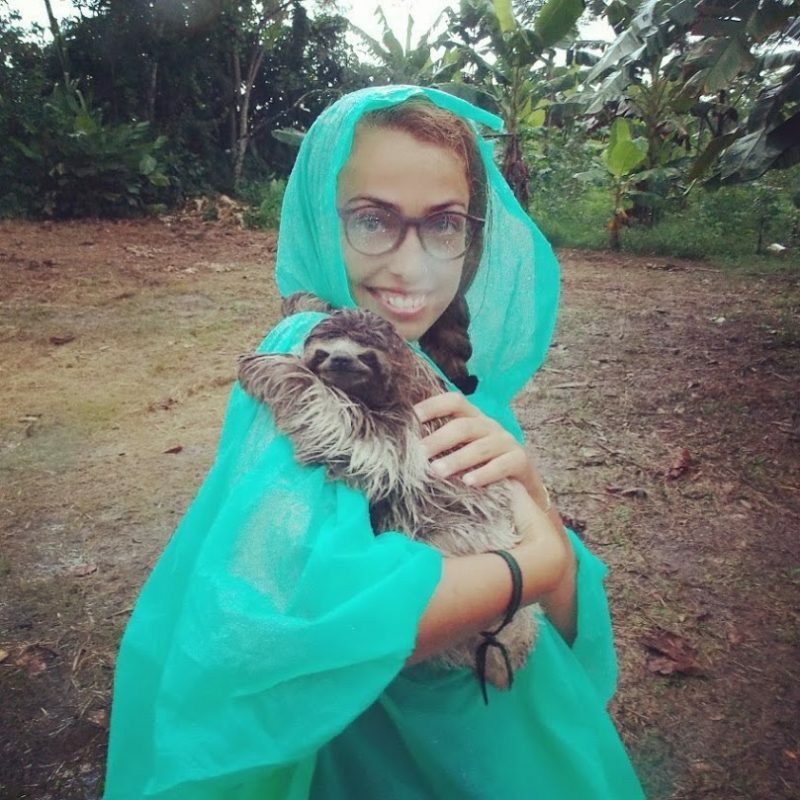 We were in the Peruvian Amazon, with a guy from there, that while we were visiting a village took this baby sloth and put it in my hands. The baby sloth is not in love with me, he is hugging because he is probably looking for his mum, or a tree. Not me for sure. The people from the village tribe said its mum died and they were taking care of the little sloth. SPOILER: Local people will never say they actually took the baby away from its mum and will always make up a story about how endangered was the little sloth. I guess we will never know the truth. 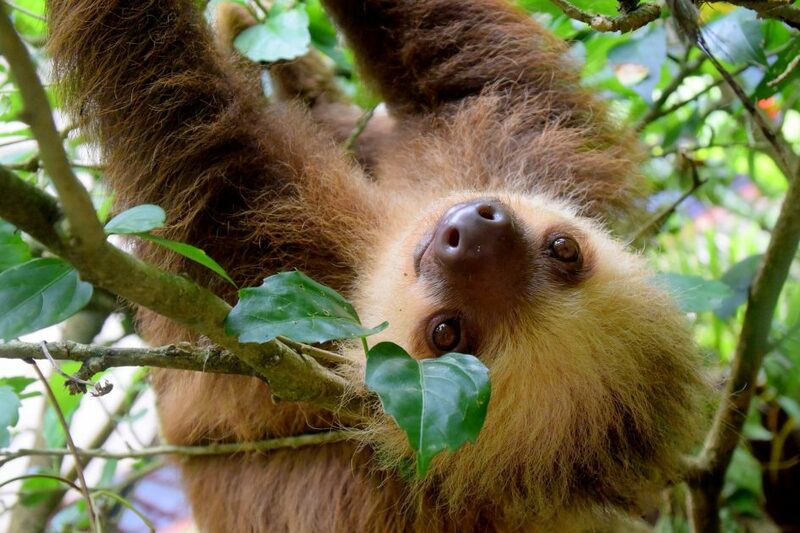 I would say if you really want to see Sloths you can go to Costa Rica (Manuel Antonio or Cahuita is best) or the Amazon rainforest (from Peru, Brazil, Colombia, Bolivia or even Ecuador I suppose).